Is your home’s sewer line at risk of failure because of landscaping choices you made? Many homes in the Glendora area have older trees and bushes on their properties that may have roots that have grown into the sewer line, which can create cracks. When a sewer line fails, toilets won’t flush, shower and bathtub drains become clogged, and you may experience raw sewage backing up into sinks and floor drains in your home. At Glendora Primo Plumbing, we know it’s important to take care of your home’s main line. Here are some landscaping tips to help you avoid emergency sewer repair. If you’re planting new trees or bushes, take the time to locate the sewer line in your yard. To find the line, look for the sewer cleanout. Once you locate the line, be mindful of where you plant. Plant bushes and trees at least 10 feet from the line. This is the minimum distance recommended by licensed plumbers to prevent root intrusion. 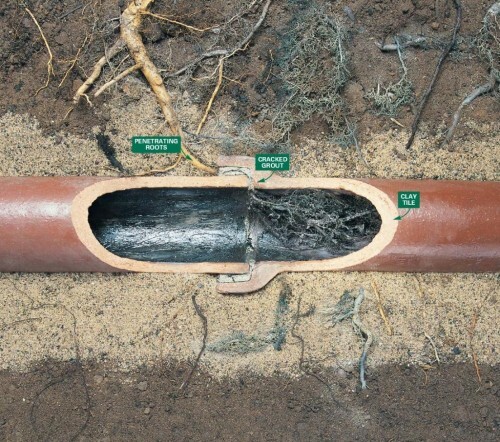 The farther away you plant from the sewer line, the better because large trees have extensive root systems that develop massive horizontal spread as they grow. Chances are if you have a sidewalk on your property, you already have root barriers. Municipalities install these contraptions to keep root intrusion from affecting sidewalks. However, because the sewer line on your property is technically your responsibility to maintain, there are probably not root barriers installed. If you have an older home with large trees on the property that are close to the sewer line, consider installing root barriers to prevent future problems. It’s not something that’s easy to consider, but if you own an older property with large trees that are close to the sewer line, you may want to consider removal. Removing a tree isn’t an easy task and it can be heartbreaking to cut down a tree that isn’t diseased or otherwise damaged. However, the cost to remove a tree is much less expensive than dealing with complete sewer pipe replacement, which can extend into the tens of thousands. If you have questions about sewer pipe maintenance or need emergency sewer repair in Glendora, give us a call. We can get a licensed and bonded plumber to you in less than 90 minutes – day, night, overnight, and weekend. We’re always here for you! Do you want to avoid an unexpected plumbing repair? 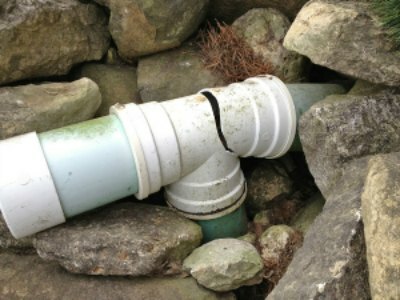 With a little bit of preventive maintenance it is possible to avoid emergency drain service. At Glendora Primo Plumbing, we know that a little TLC can go a long way toward extending the life of your drains and pipes. It can also save you a lot of money. Every day hair, soap scum, grease, food, and other substances pass through the drains in your home. After years of usage without professional drain cleaning, debris can begin to accumulate in the pipes. You may not be experiencing any problems now, but trust us. If you haven’t had a drain cleaning plumber visit your home recently, a potential emergency is just around the corner. Professional drain cleaning services aren’t expensive. In fact, at Glendora Primo Plumbing, we run drain cleaning specials all the time that include the use of the hydro jet and a drain inspection camera. Spending a little bit of money to keep your drains clear is nothing compared to the expense of pipe replacement or water damage restoration. Just because it looks like the kitchen sink and toilet are tough enough to handle whatever you throw at it doesn’t mean you should. Both of these plumbing fixtures are delicate and are designed only to accept certain things. For example, only toilet paper should be flushed. You may think there isn’t much difference between toilet tissue and paper towels or facial tissues, but there is. Likewise, your kitchen sink isn’t designed to accept food scraps, grease or fat. These items can quickly build up and lead to impenetrable clogs. Save food scraps for the garbage disposal and dispose of grease or fat in a glass container. 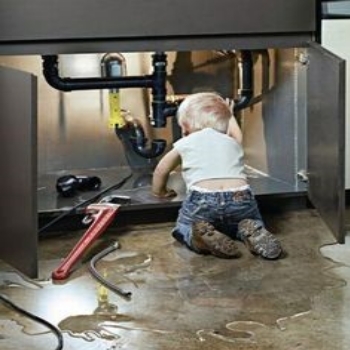 If you find yourself in need of a Glendora plumber now, call us first for emergency drain service in Glendora. We’ll get a plumber to your house in less than 90 minutes and use the latest equipment to make sure clogs are taken care of completely. What to Look for When Identifying Sewer Line Repair Needs? When it comes to issues with your Glendora home or business, do you believe that problems are an inevitable part of property ownership or do you feel that almost all catastrophes are preventable? At Glendora Primo Plumbing, we believe an annual inspection and regular maintenance are your best defenses against our area of expertise, sewer line repair. Your home or business plumbing isn’t usually just going to fail at random one day. Instead it’s most often the effects of hard wear and tear over decades that finally causes the need for sewer line repair. Although you should still be aware of the condition of your sewer system, many developing problems can be detected during the annual maintenance and inspection. Your biggest notification of sewer line issues is going to be slow drains or backups. These are things that could actually occur at random, mostly because somebody tried flushing towels, baby wipes, or prophylactics down the toilet. The path that your sewage line takes outside does many times run through your home so look for any odors or mold growing behind walls that could signify leaks in the pipes. Ideally you’ll want your grass to be as green as possible but not when it’s because of a sewage line leak. Sewage is a fertilizer so a patch of extra plush grass may be forming because of underground leaks. There are many other warning signs which could include sinkholes and indentations in your yard or cracks in your foundation from your house shifting. When in doubt, give Glendora Primo Plumbing a call for a sound peace of mind.